A full sponsorship ($35/month) covers the basic needs of the child, including preventive health care, education and Christian nurturing. The family of the sponsored child enjoys the privileges of membership in LCP, which includes opportunities for livelihood, leadership training in the LCP community, tutorial opportunities as needed for their children, used clothing, family assistance for medicines and medical care when available, Bible studies and Christian fellowship in a close-knit and caring community. Half sponsorship ($17.50/month) is available. 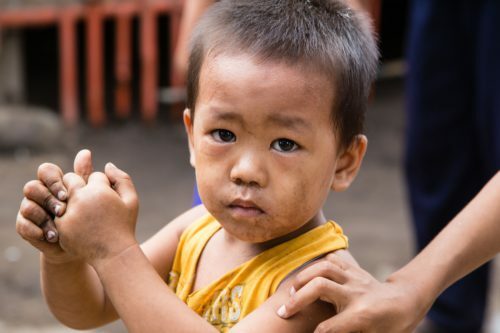 A half sponsorship will be matched with another sponsor to ensure the child is receiving full care. Sponsoring a child with Little Children of the World will take them out from the grips of poverty and help give them a hand up to a better and brighter future! Sponsor a child today! Check out our Sponsorship Manual with all of our information! 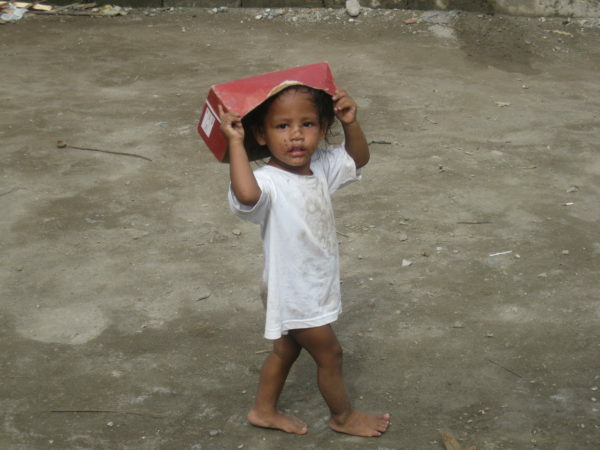 Roswell lived in one of the poorest communities in Dumaguete, Lo-oc. He now resides in the Robert Hanson Home for Boys because his parents are in prison for selling drugs. His step father abused him and his younger sister, but he is a happy child who enjoys school and playing with other children. Roswell is in need of sponsorship to meet his basic needs such a food, school supplies, clothing, etc. There are times that the earnings of her mother and father will not reach the daily amount that they need and it greatly affects their basic needs. The type of house that they have is made out of semi-concrete mostly salvaged materials. She wants to be an Accountant when she grows up. 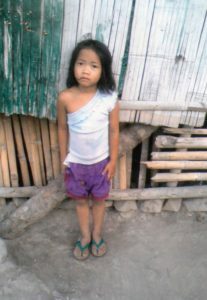 Kim and her family are hoping for a sponsor to be able to help Kim and her brother to continue their education. Mae has 2 brothers and 2 sisters. 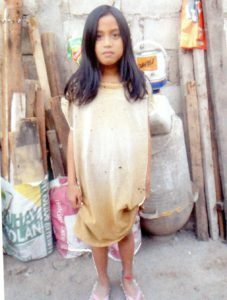 Mae’s father works as a Laborer and earns 145 pesos per day ($3), and their mother is unable to work because she has to stay home with the children. The wage goes mostly for the food and usually it is not enough to make them full. They do not have electricity. Mae is hoping for a sponsor that will be the instrument to be able to help her continue her education and someday help her dreams of becoming a teacher come true. 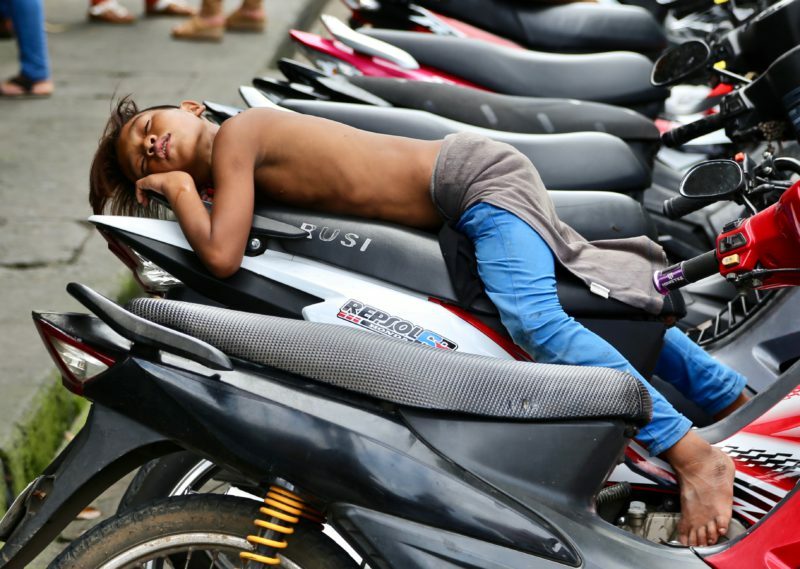 What will I receive from sponsoring a child? When/how do I make sponsorship payments? Payments may be made monthly, quarterly or annually, whichever you prefer. You will receive a receipt after each donation or once a year with your total contributions, as instructed by you. Credit and Debit Cards can be processed over the phone at 770-358-2771 or on the Donate page. Yes, all contributions (sponsorship, in-kind, donations) to Little Children of the World are tax-deductible. LCW is a 501 (c) 3. What happens if my sponsorship payments lapse? When the sponsorship payment is late, sponsors receive a reminder letter from LCW. Contingency money is very limited, but can be used temporarily. If payment is not received by the fourth month LCW will be forced to drop the sponsorship. If the sponsor has unexpected financial difficulties, by calling the sponsorship office something can be worked out. We ask for sponsors who have to drop to please help us find a replacement quickly. How long does sponsorship continue? It is entirely up to you. As a general rule, we encourage sponsors to see the child through high school if possible. However, some sponsors cultivate a special bond with their child that sometimes carries them through vocational school or college. How much sponsorship money goes toward administration? Fifteen percent of the sponsorship stays at Little Children of the World to administer all the programs, run the office, publish fundraising newsletters such as Jericho Street Echoes and SS Sponsorship, receive and pack all donations, receive all financial donations and make sure each dollar is managed according to the donor’s wishes, manage all correspondence for over 700 sponsored children, fund raise for the ministry and manage all files in accordance with standard audit/office procedures and much, much more. When the money gets to LCP, 65% is then deposited into an account for the sponsored child. The remaining twenty percent is used for child services such as social workers, youth assistants, sponsorship correspondence, home and school visits, pictures, reports, updates to sponsors, bookkeeping, audited reports, operational expenses, and access to all the LCP HELPS Programs (Health, Education, Livelihood, and Peace and Faith, and Sponsorship). So, between the direct and indirect services, the children receive far more than 100% of the sponsorship monthly payments. Of the total donations LCW receives 92% is direct support and program services supplied to the children and their families, while only 8% is administrative costs. How do I send special gifts to my sponsored child? Four times a year, we send shipments with gifts and in-kind donations from our office. We use reliable Filipino shipping company, Balikbayan, to ship large boxes (5 cu ft) to the Philippines for $95 regardless of weight. Customs fees are included in the charge. We allow two to three months for delivery. If you would like for LCW to include your gift in one of our shipments to LCP, please send it to the Georgia Office address in clear ziplock bags with the child’s name on the outside of the bag. Please include a list of items in the gift and the cost for your in-kind receipt. Please also include a donation for the shipping fee with your gift. LCW ships the first of March, August, September, and December. These shipments also take 2-3 months to reach LCP so send your gift in the shipment that will ensure its arrival at the desired date. You may send lightweight items by air mail and heavier items through surface mail which may take up to three months. A customs fee may be charged on pickup. Also if you use the US Postal Service, the child/parent may be charged a customs fee to receive the package. Often the customs fees are expensive and the child’s family may not be able to pay this amount and will not be able to receive the package. We do not recommend sending packages directly. What types of gifts should I send? What if I want to send money? If you wish to send a gift in a shipment, the most useful items are lightweight new and gently used clothing, dictionary, books, children’s chewable vitamins, band-aids, first aid kits, toothbrushes, toothpaste, combs and hairbrushes, small backpacks, simple calculators, pens, pencils and pencil sharpeners, inexpensive watches and cameras, and compact mirrors. Other gifts include small stuffed animals, small dolls, toy cars, and hair bands and ribbons. Gifts for other members of the family are also appreciated. 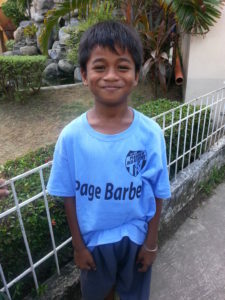 Money is always appreciated since the families can purchase most of their needed items in Dumaguete. 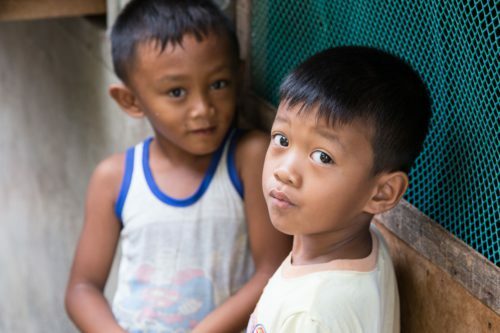 Money for gifts can be sent to the LCW Office and it will be wired to the Philippines in the next monthly transfer of funds. Monetary or other gifts are especially welcome for the child’s birthday, school supplies (May) and at Christmas (No later than Dec. 1). DO NOT SEND CASH OR CHECKS TO THE PHILIPPINES (Cash may be stolen and checks cannot be cashed in the Philippines). 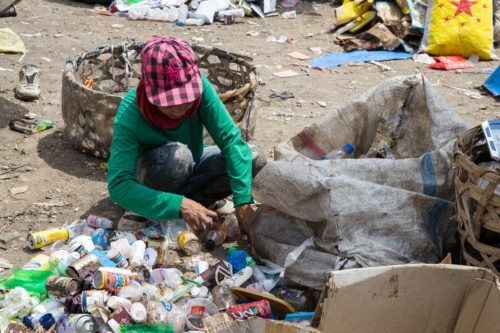 The exchange rate for the pesos to the American dollar is approximately 50 pesos to $1 and the cost of most needed items are cheaper in the Philippines. Therefore, most of the time your dollars purchase much more there than in the U.S. A gift of $25 is an average gift. Some example prices of goods in the Philippines are as follows: dictionary $5 small and $11 large, book $7, child dress $4, teenager dress $10, child uniform $17, college uniform $20, small car $3, book bag $12, watch $14, shoes $17, t-shirt $5, birthday cake $12, eating out at Jollibee or McDonald’s (dinner for one person including transportation $6.00). If you would like to purchase specific items with your donation, please inform the Georgia Office when you send your money and it will be designated for that purpose in the next monthly wire to LCP. The Sponsorship Social Worker will oversee the purchase of the requested items. How can I write my sponsored child? Little Children of the Philippines, Inc.
Or, you can email your child at littlechildrenofthephilippines@gmail.com, just put your child’s name in the subject line. What are other ways to help my sponsored child/family? Encourage your child and family to abide by the LCP rules of sponsorship (SWAP 10 hours of service with a purpose), participate in Sunday School, Worship, Community Bible Study, and Federation meetings. Encourage your child to attend school regularly, study hard and do homework to prevent failing grades. Failure to keep their commitment to LCP could result in loss of sponsorship. Encourage your friends, family and church to sponsor children on the priority waiting list. There are currently over 300 children waiting to be sponsored.